Start from Ahmedabad in morning and reach Junagadh by lunch time. Then you can plan to reach Somnath in afternoon. At Junagadh you can visit Junagadh fort , Mahabat Maqbara and foothills of Grinar. You can plan to visit Sasan Gir and Diu by staying one extra day in any one of these two place and then return next day to Somnath. 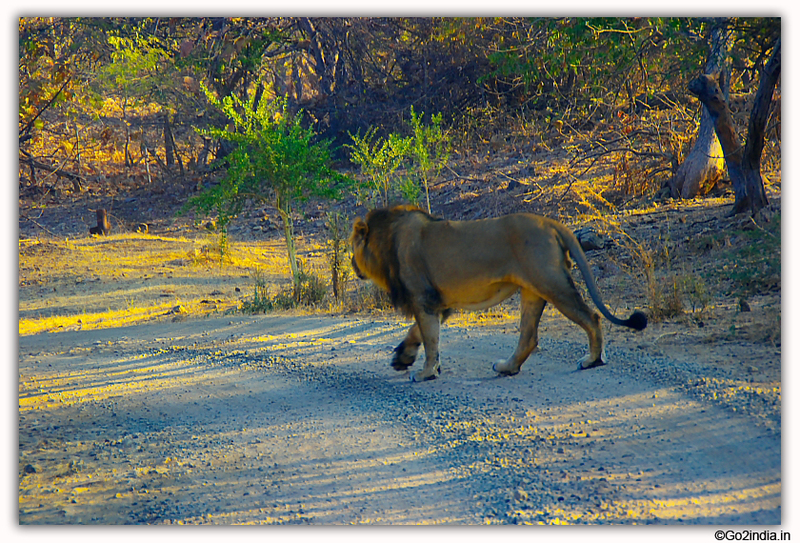 Your night stay depends upon the time of permit you get to visit the Jeep safari at Sasan Gir. If you are reaching Somnath in afternoon then you can watch sunset and join for light and sound show inside the temple complex. 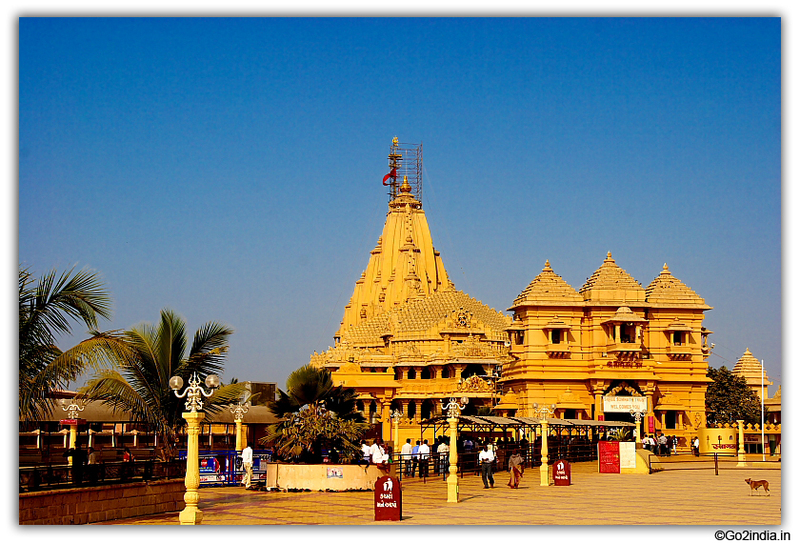 You also need 2 hours to go sightseeing spots around Somnath temple. Depending upon your time of arrival on previous day at Somnath and completion of local sightseeing at Somanth you can start for Dwarka. This road is at the extreme west side of Gujarat and most of the time sea will be at left side of the road. 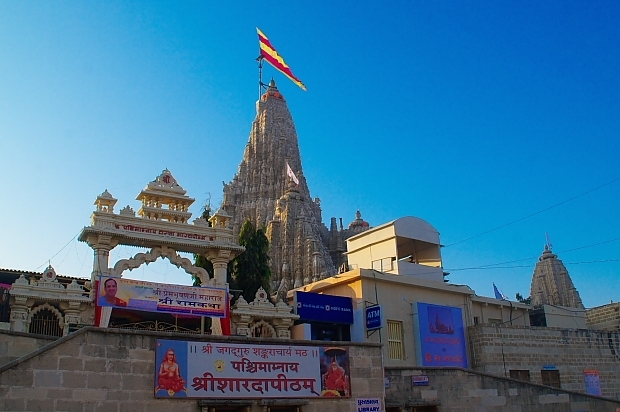 On the way to Dwarka you can visit Porbandar. Porbandar is famous for Gandhiji Birth Place known as Kirti Mandir. Another attraction is Sudama temple. 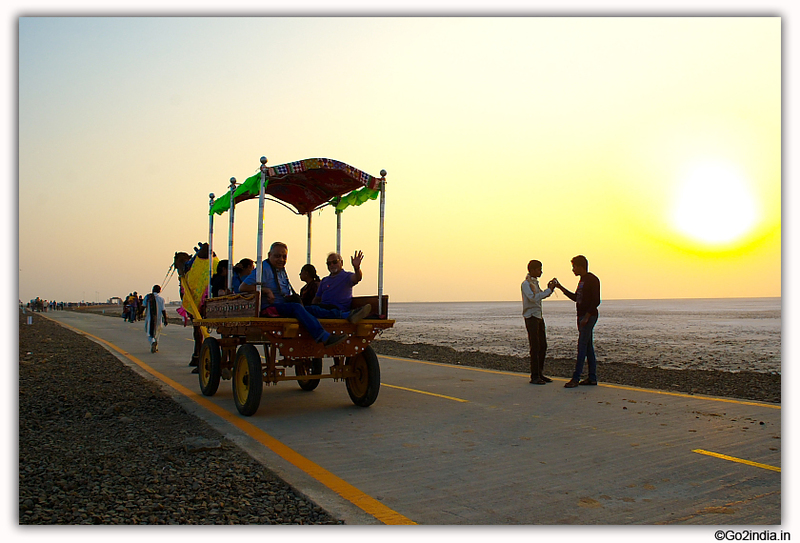 It will take two hours to visit Porbandar and to continue your journey to Dwarka. 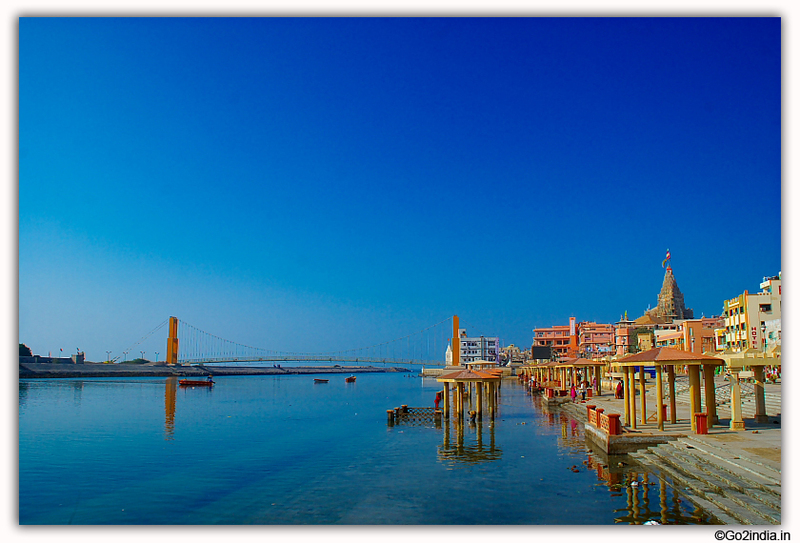 Before reaching Dwarka you can visit Mul Dwarka (Visavada) and Harshad mata temple. Visit Bet-Dwarka, Rukuni Mata Mandir, Nageshwar temple and Gopi - Talav. 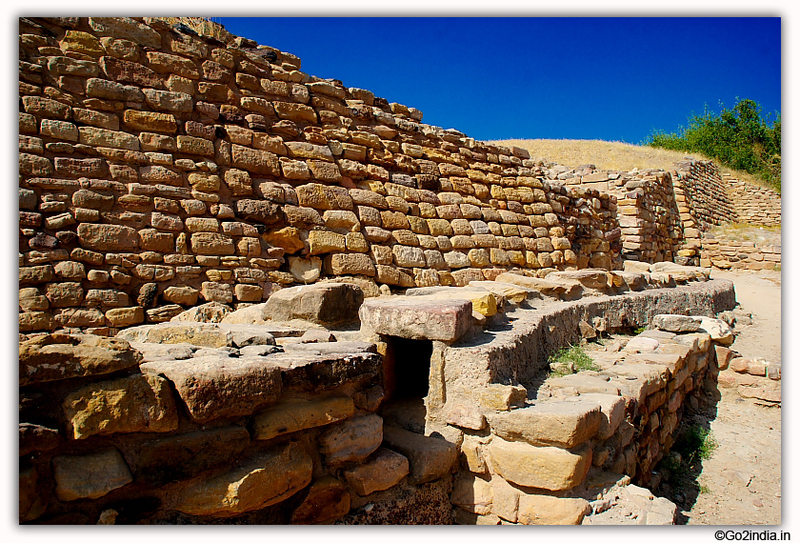 After sightseeing at Dwarka you may like to take rest here for the night. On the way you can visit Jamnagar Bala Hanuman temple, Lakhota Lake and Lakhota museum. Dwarka to Ahmedabad is 442 KM and it will take 8 Hours. 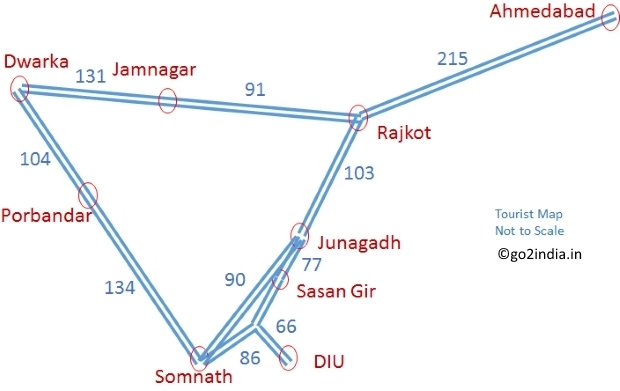 There are overnight trains and buses runs between Ahmedabad to Somnath , Somnath to Dwarka and Dwarka to Ahmedabad. 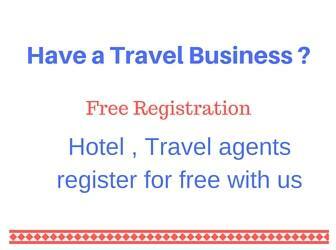 If you want to avoid day time journey by road then you can go for night journey using train or sleeper bus in all these places. Plan your journey to match your area of interest. 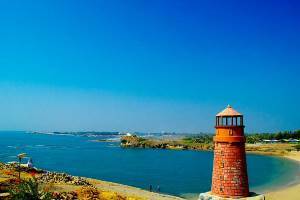 You can skip Gir Jungle safari and visit to Diu island if you are only interested in religious places. 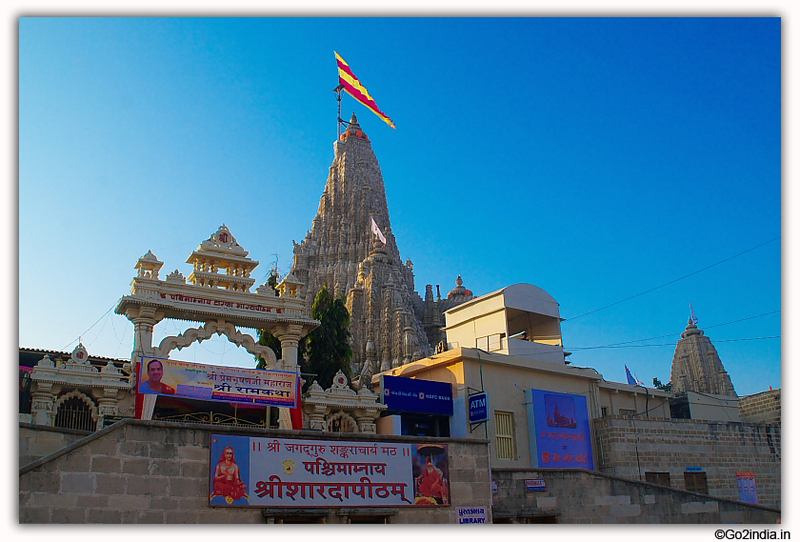 On Day 4 , you have to start early from Dwarka to cover Jamnagar or you can stay one night at Jamnagar. 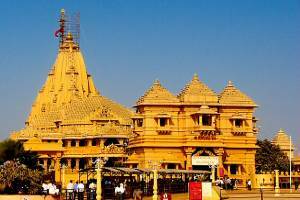 Please send information about dwaraka -somnath- ahmedabad and other worth seeing places from Mumbai. We are from himachal.We want to visit somnath and dwarka and surroundings. How many days it will take. how will be the weather in 1st week of oct.Should we reach ahemdabad first or rajkot.